Home has always felt like a distraction. A place that I needed to get away from in order to be productive or to achieve accomplishments. Home in this instance can mean many things; my childhood home, the people closest to me like family or hometown friends, the town I lived in. Or even simpler, just getting out of the house. The dishes and laundry are distracting as well as the loved ones around wanting your attention and time. I need to get out and be a person! Someone in the world, moving around and shaking things up. Meeting people, being influenced and being influential. Causing a stir and raising questions. Proving that I have an affect on things and that people see me and my efforts. Sharing ideas with personalities that don’t know your history, that don’t know that time you cried because your dad went to the video store without you and he had to go again just to make you happy. People who don’t know that you talked to yourself constantly as a child (but what they didn’t know is that I had simply created a made-up world I lived in with characters that had roles and in which I would have conversations with). The difference is that now I write down the things the characters say and enlist others to talk my own words back to me and we call it screenwriting and acting. How lovely that there’s a named profession for the heady games I’ve been playing since I can remember! That’s just it. No matter how much I’d like to depart from the things that grew me to be the person I am, the truth is, I can’t look in the mirror without seeing all of this. And in kind, I must pay it it’s due respect. More than that. I now cherish the comfort that comes with knowing there are other humans on this planet that know my truth and accept it. They know where I came from. They dry my eye when my heart breaks over simple things and they’ve stopped asking me to do something else with my life. Now, more than ever I’ve felt grateful and more at peace with where I came from. I’m comfortable at home. I want more home. I’ve better learned how to achieve moments in life when simple and complex are able to coexist. It is like a return to ones origin. Something that takes many trials and errors to accomplish. To fly and then to return, knowing that you can fly again is quite the achievement. We can say the same for the recent victory SpaceX experienced. With many trials and errors, they had a successful launch and more importantly…return. Described fully on arstechnica.com in the article by Eric Berger entitled “With a historic landing, SpaceX launches new age of spaceflight” he states: “…the Falcon 9’s first stage had rocketed nearly 200 kilometers (120 miles) into space far off the Florida coast, used nitrogen attitude thrusters to make an abrupt U-turn, fired its engines to create a reversed ballistic arc, and finally reoriented itself for re-entry to Earth’s atmosphere with the engines pointed toward the ground for a final landing burn.” Something that’s never been done before and that promises a future of space exploration that is more frequent and more affordable. This spacecraft not only came back to earth upright but created a return to U.S-only materials. SpaceX is the only space exploration company that does not rely on Russia in any way to provide any of its parts or technology for the flight. All the more reason for more flights like this one to take place. A curious motive divulged, however, by SpaceX creator Elon Musk. He says that the goal of this mission was to ensure a feasible creation of a colony on Mars if there ever were to be a threat to the human race. It almost feels ironic that in this effort for Falcon 9 to return to Earth, in fact the real return will be more of a departure. To preserve something so primitive and precious such as life, we must consider an existence so far from home we must actually leave the planet. The ultimate departure from home to preserve existence, yet such a primitive motive, one that reeks of survival. With the possibility of the right technology to build a world away from our own in order to exist, I must wonder if we would actually thrive. Something about being that far from home leaves me wondering if depression could lead us to our demise. In Episode 10 of DIMENSION Des prepares a nice dinner for Henrietta as he divulges stories of his childhood. A practice that is endearing but one that Henrietta can’t participate in since she has no idea of where she came from. Her memories begin when she entered this world only a couple of years ago. Her curiosity and yearning to get back to wherever she came from is a strong driving force in her actions and no matter how comfortable Des makes it here for her, no matter how much he loves her, it will never be enough to curb her appetite of discovering the truth. Of finding her home. Because it is the feeling of home, of satisfaction and rest when one finally discovers the truth. When one is able to feel whole. I wonder if the human race is capable of ever feeling whole existing so far from our origin. So far from the trees, mountains, oceans and air that can only exist on the planet Earth. Our bodies will survive but will our hearts thrive in such an unfulfilling environment so different than ours. Will our future generations on Mars feel the invisible piece missing even though they have no memories of their home…their planet Earth that the previous generations threw away. Will their hearts be empty, with no possibility of ever returning…home. Some things look much different up close than they do from a far and safe distance. This change in perspective is what makes examining the world worth it’s while. It is also what makes life exciting and at the same time scary. This opportunity for the unknown. It is either what keeps us from exploration or what draws us in. It seems to me that many of the evils in our world come from a deep rooted fear and some will do everything in their power to not have to face it. Others will make their fears the reason to forge forward and defy them. The argument could be made that this is what divides us as people. Those that face their fears and those that succumb to them. But how does one make the distinction whether to go forth or hang back? I guess you could say it’s a matter of perspective. 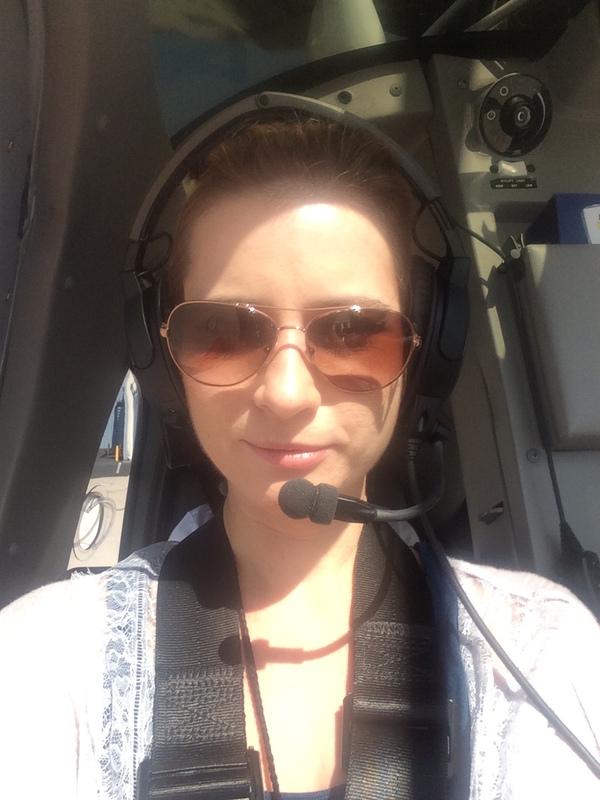 A few days ago I had the opportunity to fly in a helicopter for the first time. It was a magnificent experience mostly because I was able to see parts of the California coast that I would not have been able to see any other way. 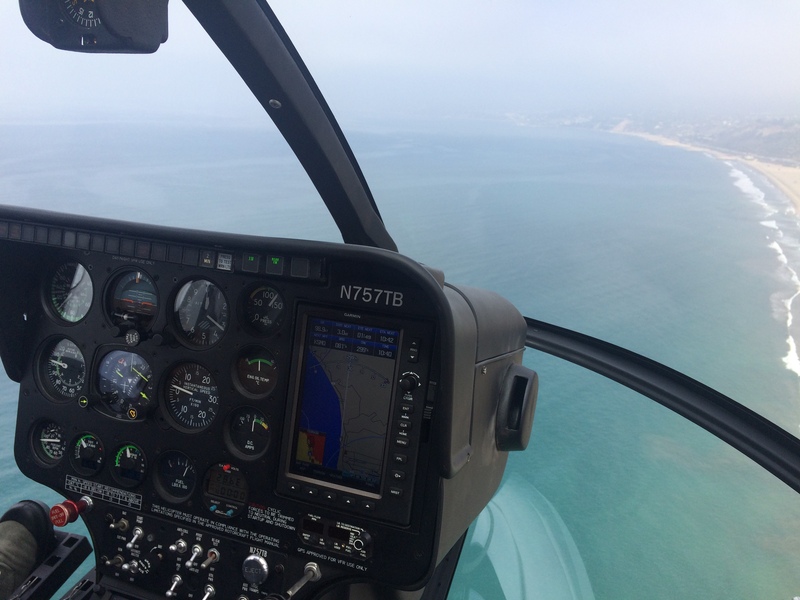 Flying over the Pacific Coast Highway towards the Malibu Hills we had a front seat to the Pacific Ocean, the misty mountains, celebrity mansions and a lake I had not know existed. I gained a different sense of the geography along with a new take on the beauty of our beaches. What seemed average to having grown up in Southern California really looked majestic from that height. It undoubtedly provided me with a new outlook. What if I had been afraid to fly? It would have been a tragically missed opportunity. Thankfully, scientists are not afraid to forge forward and put themselves in situations that could either be dangerous or risky to their reputation. What if Thomas Edison hadn’t been curious about electricity and therefore hadn’t invented the light bulb? Our progress in Western society might have been much different. In fact, the light bulb has also evolved a bit in that we now have many varieties in type, one of them being the LED light. Obviously, we use light to illuminate but what if it had hidden talents such as transporting sound? According to nasa.gov , “Light communication is not new. Its history goes back as far as the 1880s when Alexander Graham Bell, inventor of the telephone, developed the photophone. In a demonstration in Washington, D.C. he transmitted speech using modulated sunlight over a distance of several hundred yards. This experiment even pre-dates the first transmission of speech by radio.” The idea behind revising this development is to try and create something called “LIFI”. Similar to WIFI, it would allow us to have a wireless internet connection by using LED lights. It is this kind of forward thinking that has to be fearless. You have to believe in an idea strongly enough to make a life’s work out of it, hoping that it’ll reap some results, ignoring the fear of failure and lost time. There must be a point in which you decide the work will be worth it. In Episode 8 of DIMENSION Shondra goes undercover to get close to Samag Kim, Lou’s right-hand man. Shondra’s entire mission will revolve around changing Samag’s speculative perspective. He must let his guard down and trust her in order for Shondra to develop a relationship with him and carry out her mission. There will come a point when Samag will have to decide if he will face his fear of falling in love and it will be up to Shondra to alter his stance just enough that he will make this choice. What’s interesting is that love is what Samag wants most in life but in order to preserve his current lifestyle love comes as a threat. The Oxford Dictionary’s definition of fear is “An unpleasant emotion caused by the belief that someone or something is dangerous, likely to cause pain, or a threat”. There are many things in life that pose this possibility but if no one ever faced this uncomfortable emotion then where would we be? Is this uncomfortable feeling so powerful that it overcomes the strongest emotion of them all, love? It might have kept us from having a space exploration program, or a free country in the United States or evolutions in music and art. Those people that choose to face their fears are the ones leading us towards something bigger. By their example we might choose to also face our own uncomfortable feelings so as not to sacrifice our happiness, or dare I say, the betterment of mankind. Perhaps the victory would not be as sweet without the difficulty of fear standing in our way. If I had to choose a premise for my life, it might be this: to search for truth. I am always looking for the right answer, weighing the odds and evaluating all angles of the debate. I don’t know if I have a maniacal need to be correct or if I just want to get answers so I can essentially, well, get on with it. I also value time to a fault. I find myself being blunt so everyone can just move forward. Forget wasting time fumbling around while polite people with answers just watch. In the name of being polite of course. I’d rather know the truth. I believe it saves time. If it goes unappreciated or is misunderstood, I’m kind of okay with that. Not to say that I’m always right. In fact, it’s best when I might not be because out of this uncertainty is born a debate and with a debate we then have choices. Isn’t this the point? Through a well crafted and structured debate we can better explore and seek out truths. Sometimes they are individual truths and sometimes they are more universal but what we have at the end of this exploration is an informed choice that we can get behind. Or maybe it’s all much simpler. Some things we do just know. We discover them and then we accept them as truths. There are many foundations that we can rely on such as gravity on Earth, water being wet, fire being hot. Though I invite you to question even these things. I say this because if no one ever became curious as to why fire is hot, we might not have learned that there are different degrees of hot and that there are different parts to a flame that also vary in temperature. Someone had to make a choice to seek more, to learn more, to find a more whole truth. On July 23, 2015 (coincidentally my birthday), Nasa put out a press release stating that the Kepler 452b, a planet that is about 1,400 light years away and it’s sun, is the closest replica to our own planet Earth and Sun. It orbits in what they are calling “The Goldilocks Zone” because the planet must orbit at just the right distance from it’s sun in order for it to potentially be warm enough to have flowing water and support life (nasa.gov). 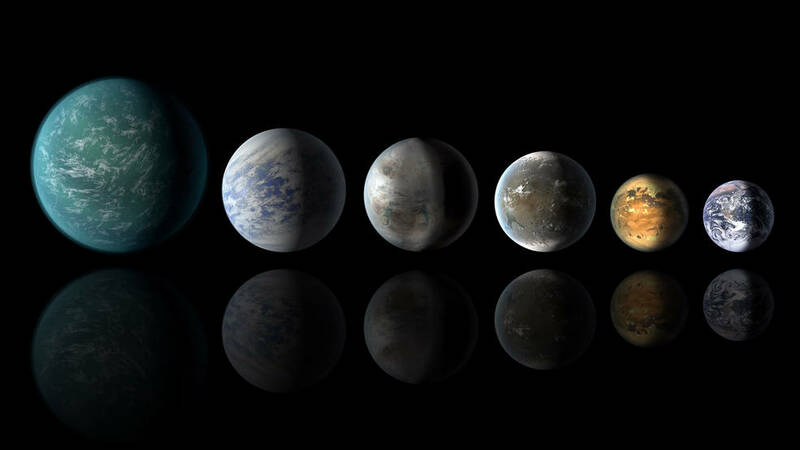 Turns out they have discovered about a dozen of these Exoplanets but Kepler 452b is only slightly bigger than Earth, making it also the closest in size thus far. It’s not possible for us to travel 1,400 lightyears to possibly walk on this Earth 2.0 but we’re hoping to learn more about it’s surface from satellites. It will help us paint a better picture of the truth behind our own solar system. This other earth is also much older than ours, giving it ample time to have developed life if it were ever capable of doing so. 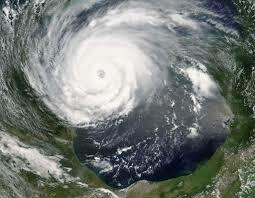 Perhaps this Earth 2.0 will give us a glimpse into what future our own Earth is fated. Or perhaps Kepler 452b is long gone and we are looking at an image of light that finally traveled far enough for our measly satellites to detect. Rather than looking into the future, we are in fact looking into the past. In other words, things are not always as they seem. Best demonstrated by Lewis Carroll in his depiction of the Cheshire Cat in Alice and Wonderland. He appears when and where he wants and not always as a whole cat. Sometimes just a smile or a head. He seems to exist because Alice and other characters are able to interact with him, but his ability to fade from our senses makes his whole existence somewhat questionable. Science is often built on such shaky ground, lending more reason to continue the mad search for truth. Any evidence of it, even a grin will be enough. In Episode 7 of DIMENSION Shondra is undercover as a diner waitress only to be briefed of her next mission later that night at CIA headquarters. Learning that she must devise yet another disguise to get close to the infamous Lou’s right-hand man, Samag Kim. A disguise, within a disguise, within a disguise all to search for a criminal that no one has ever seen, not even Samag Kim. Lou exists only by her actions. Much like a far off star still exists light-years away long after it’s death or the Cheshire Cat’s grin catches our eye, a criminal named Lou wreaks havoc. Shondra became a CIA agent in order to search for truths and hoping that she might find clues about her own mysterious past. 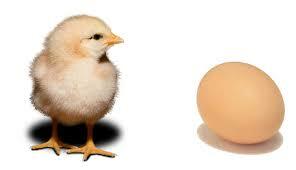 What Shondra doesn’t know is that she might not be so different than Lou. Their goals might not be so separate in nature. They are each trying to come closer to something real, something definitive. Or could it be that we already know the answers and are unsatisfied with them, so the search continues. Unable to accept our fate, we look for other worlds. Other versions of ourselves. Something to compare our own truth with. An Earth 2.0. So how do we know when to stop searching? Is there ever a point of certainty? Perhaps the answer to this question is in the decision-making itself. Meaning, it’s a choice. I mean, isn’t this the point? Scientists are true romantics. They have to invent hope when there is none, imagine a better outcome when faced with tragedy, and see a light on the path when all else is shrouded in darkness. They live and die on the belief of a better day. If that’s not faith, I don’t know what is. They are true futurists who believe being wrong is simply part of the journey, and the goal is always worth the wait. Some of the best artists I know. 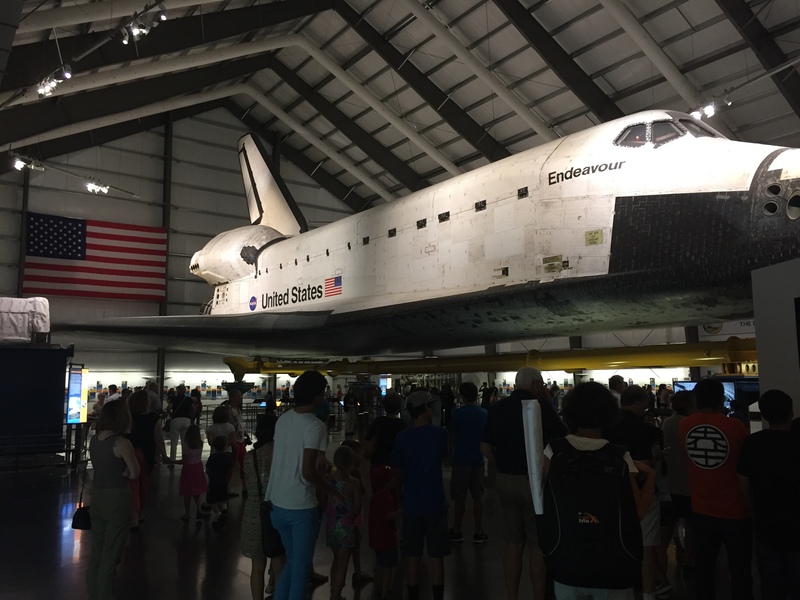 I had the pleasure of visiting the decommissioned space shuttle Endeavour. It was massive and majestic. Something about being in a room with an object that traveled past the Earth’s atmosphere twenty-five times, tried and true, just has an affect on a person. The impulse to touch it was pretty strong, but then again I have the impulse to touch everything I’m near: flowers, buildings, leaves, cacti…that last one is usually a mistake. The streaks from bursting through the Earth’s atmosphere were painted up and down it’s underbelly, and the black paneling had a light fade. Something about it felt alive. As if we were in a room with some sort of entity or a large and wise aging animal. To say the least, it was beautiful. A creation conceived by many collaborators. Many artists with science oriented degrees who believed in something more than the rest of us. Creating new limitations. One of these hopefuls was my father. I remember growing up surrounded by photographs of space shuttles, submarines and jet planes on the wall, all projects that my dad had contributed to. We even had special clearance once to visit another space craft that was being held at Boeing when I was young. I remember being able to actually go inside it, unaware of the rare opportunity I was gifted with. We bought space food as a novelty and were bored quicker than we should have been. But I don’t feel guilty about that. It’s the nature of children to want to move forward. On to the next! 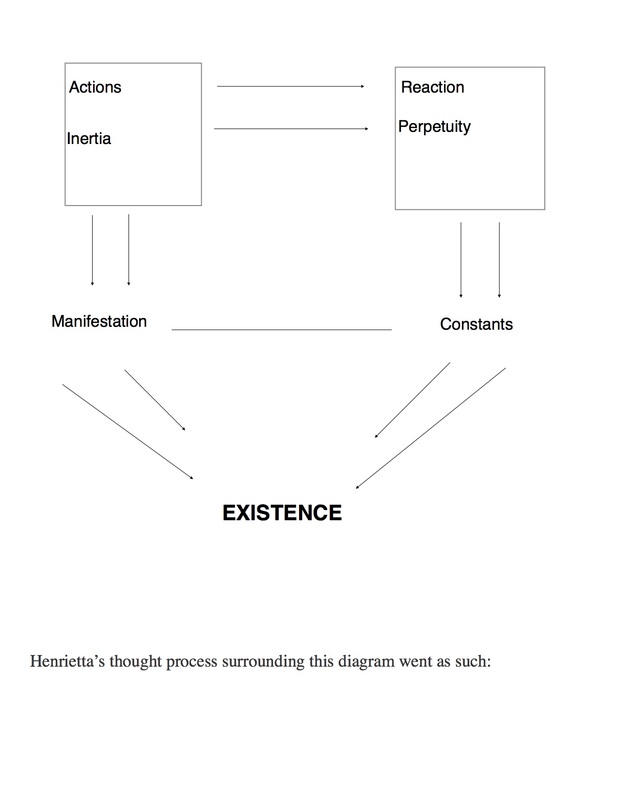 This insistence to conjure and question is how we get to space. It’s how we get to explore Pluto and further examine our findings. The understanding that there will always be more to discover and that the unknown shines with opportunity is the stuff scientists are made of. In order to do their jobs effectively they must imagine a world that doesn’t exist yet. For example, the terrain of Pluto isn’t too different than that of Earth’s. Sure, it’s a more hostile atmosphere than ours and it’s land is made up of exotic ices, but they found water ice too. Nasa.gov also stated in a segment called “Pluto In a Minute: What’s Inside Pluto?” that it’s not “completely impossible that a sub-surface ocean could exist on Pluto”. They found mountains, rocks, craters, glaciers and a nice big heart. 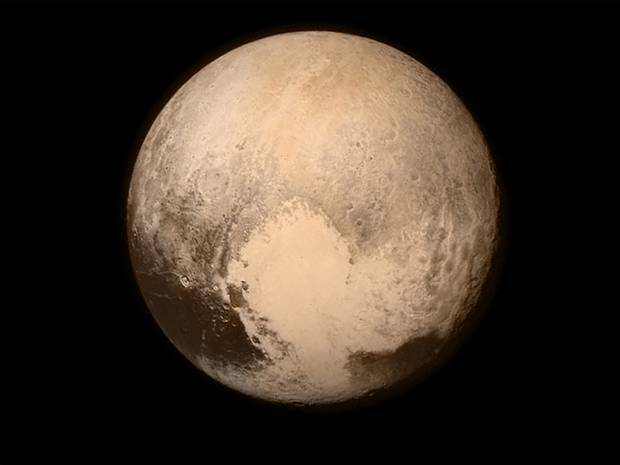 Right on the side of Pluto there is a lighter area in the shape of a big heart. It is this area that they found Sputnik Planum (the icy plains region) or the “Heart of the Heart”. It’s very romantic actually, the idea of there being a heart within a heart. In DIMENSION we were introduced to the character Lou in Episode 5. Now in Episode 6 we witness Lou masterminding a huge robbery heist while she flees the scene by jumping from rooftops and hiding right under society’s nose at a café in visible proximity of the crime site. She enjoys an espresso while watching the inferno she created gain momentum. Her interest in crime has more to do with creation and control than it does with hurting others. I often refer to Lou as the “id” of the three characters (Shondra and Henrietta being the other two) that once made up a single person in a previously lived dimension. Lou has animalistic tendencies and is reactive. Her search is fueled by fury and revenge. She believes that once she finds the source for her vendetta, she can retract and hide away, perhaps even lead a quiet, normal life. Scientists have heart but so does Lou. Scientists imagine our futures through their infinite dedication to create and control and sometimes the outcomes are fatal and sometimes they’re brilliant. Lou may not be a scientist like Henrietta, but she feels the same pain and confusion and is pursuing her mystery in the best way she knows how. The massive plan she is manifesting, the long game, she believes is worth all the pain and loss it will bring, so long as it also brings justice and revelation. A way to move forward. You could say that Lou is searching for her “heart of the heart”. The core of herself and of which she came. They all are. We all are. But we must search deeper than the icy plains of our surface to discover warmth at our core. To connect worlds, future, past and present. To faithfully envision hope…and to have heart. Life has a funny way of making you feel stuck. A maze of twists and turns that force you to make decisions, only to find yourself dead-ended, with no one to blame but yourself. It was you who chose to swing left instead of right and it was you who entered this maze in the first place. While staring at the tall, unclimbable wall, smooth, cold and unmoving, we shout explicatives and names of those who might have steered us wrong. Their fault, not ours. Someone else must have caused this detour. Someone else must have it out for us, wanting nothing more but our deep and incessant failure. This ridiculous pause only forces more choices out of us, choices we feel we have already made. Choices that we don’t wish to make again. That curvature in the maze was several twists back, and now you expect me to consider this direction once more? Then again…I guess there are many angles in this path that are quite similar if not exact replicas of those we previously encountered. I guess it’s not so far fetched that this turn produced a similar result as some of the others I’ve taken and I guess it’s not so strange after all that I couldn’t predict what would lie ahead. Although, sometimes this realization takes much longer. A lifetime even. When Lou arrives in this Dimension, she also feels stuck. Besides the obvious, Lou is about to learn just how stuck she really is. Her memory loss could be a large contributor to these feelings, in that whatever choice she might have made to end up here…is now gone. Wiped from her memory. All she has left is a notion of a past life and a feeling of heartache and for Lou that pain immediately gets translated into vengeance. Not only does she wake up in the desert like both Shondra and Henrietta but she is also buried in the sand in what she feels was some sort of shallow grave. You have to admit, her birth into this dimension was much more traumatic than the other two. Shrouded in darkness and unable to breath from the encroaching earth. It’s no surprise that she felt wronged. Though Lou’s choices appear reactive and hasty in this predicament, in truth her mind is racing with calculation. Shortly after this conversation with the caterpillar, she grows hugely and unproportionately. Her neck stretching so far past her shoulders that a nearby pigeon mistakes her for a serpent. Could it be that Lou’s true nature is merely misunderstood in this world she has arrived in? Or is it Lou that misunderstands the world. Most likely a combination of the two, it is these types of conundrums that contribute to the complexities of decision-making. Turning the corner in the maze just got more difficult. What is truly the difficult phase, however, is not the choice making itself, but rather the repercussions of the choice made. When it doesn’t seem to amount to a desired result…this is when we experience “stuck”. But what if the problem lies in what we desire? Lou desires vengeance and will pursue this plan through out the series but many terrible things come of it, with no promise of bringing her closer to her real goal: to solve her mystery and become whole again. Lewis Carroll’s Alice desires to be taller in order to feel more normal but grew past a height she was hoping for and is treated as a villain. Are we the perpetrators of our own conundrums? Perhaps if we accepted our changes and growth, mistakes, influences and all, we would find ourselves less stuck. 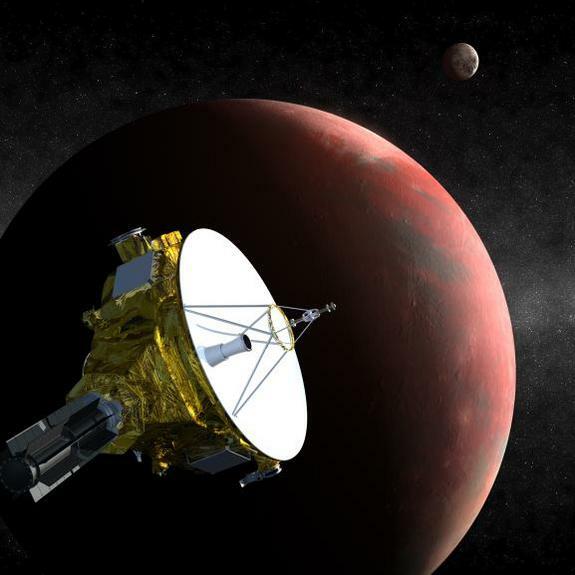 It was this morning (that I’m writing this) that the NASA spacecraft “New Horizons” finally made it to Pluto, or should I say the “Dwarf Planet” Pluto. Enabling us to discover things about Pluto’s surface that we were unable to determine before. Things that might force the controversial demotion of Pluto being called a “planet” to be revisited. Science’s choice to create parameters around what defines a planet was a good idea in theory but the determination of which “planets” qualified is proving to have been hasty. Especially since it was widely known that information about Pluto was very limited. Having made these discoveries, it causes me to wonder what the gain of demoting Pluto might have been. Perhaps the science community felt stuck and was simply manifesting solutions in order to superficially move on from the problem. Much like Lou does through her decision in blaming an unseen individual for her predicament. It’s the missing information that should be sought after in order to proceed towards a well-informed choice. It’s the illusion of moving forward that is so much more enticing than being patient in your search. But when is it too long to wait for an answer? When do you stop searching and start moving? When do we make the choice to call it a “dwarf planet”. The space program lives by hope and small moves towards a larger goal. The “New Horizons” spacecraft will now continue to drift into interstellar space…an undetermined journey, an unmapped future of communication and travel. Much like “New Horizons”, Lou is setting out into an unknown world and hoping to find what she is looking for. Also like the spacecraft, there will be some things discovered that she didn’t know she was looking for. As long as we keep looking, as long as we keep taking those turns in the maze, we will eventually find something…even if it’s not exactly what we were looking for.